Google now offers the ability to edit Office documents within Chrome OS, although the new feature is currently far less capable than the document-editing capabilities of Google’s own Google Apps. However, there’s one reason why this is worth checking out: the service is the first time that Google’s QuickOffice has made an appearance. That sums it up quite nicely: for now, Google Apps provides the functionality and QuickOffice provides the compatibility aspect. Since the purchase, Google has worked to bring the QuickOffice technology to its other properties, namedly Chrome OS. 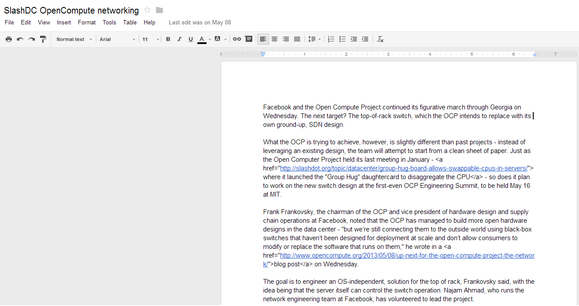 Over time, analysts have suspected that QuickOffice will become the face of Google Docs. Before the Google I/O developers conference in May, Google sources said that the company has been “dog fooding,” or internally deploying, QuickOffice within a browser. Sundar Pichai, Google’s Chrome chief, said at the launch of the Google Chromebook Pixel. that it would take two to three months to add QuickOffice to the Chrome OS-powered Pixel, but that it would eventually arrive. That time, apparently, is now. Microsoft has already taken aim at what it perceives as compatibility problems with Google Apps, even before Microsoft released Office Mobile for the iPhone. What makes QuickOffice such a threat to Office? If QuickOffice comes close enough to the functionality that Microsoft Office itself offers, users may begin to question why they’re paying hundreds of dollars for dedicated Office suites or for an Office 365 subscription. Google isn’t close at all to this point yet. Not only is QuickOffice available in the unstable “developer” channel of Chrome OS, but the functionality is far behind what even Google Docs offers. It sure looks pretty, though. 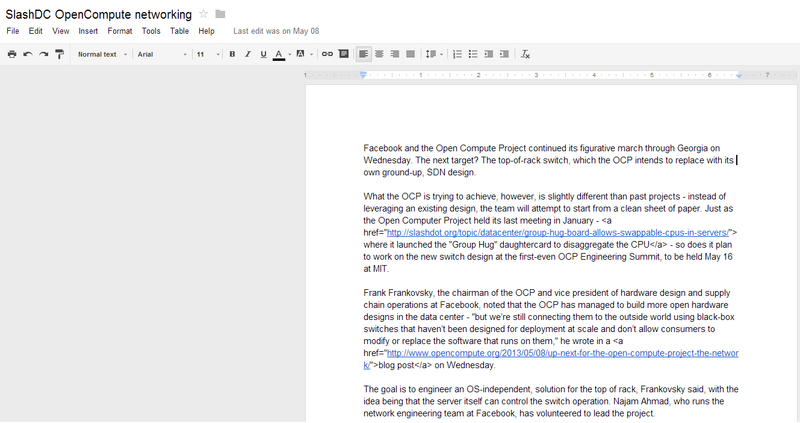 Google QuickOfficedocument editing within the Chrome OS Chrome browser. A standard Google Docs document. You’ll notice immediately that Google Apps contains many more editing options than the current QuickOffice version, which lacks support for tables and graphs, as well as support for scripts. Users can also view and edit Excel documents within the browser, according to The Next Web, which earlier reported the news, citing developer Francois Beaufort as the original source. So far, PowerPoint compatibility has not been included. To try it yourself, you’ll need to own a Chromebook or Chromebox. Make sure you’re on the dev channel, with version 29.0.1547.2 or later. (Note that the dev channel is considered “unstable,” so odd things could happen if you use it. Then type in “about://flags” (no quotes) into the URL line, which should bring up a long list of options. 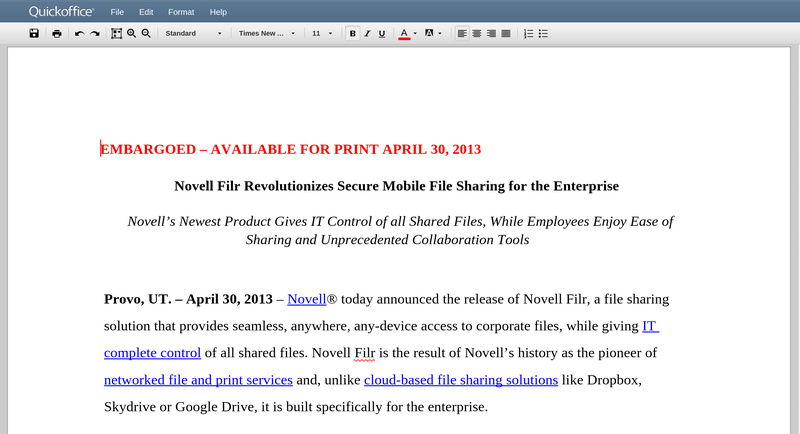 “Enable document editing” will allow you to edit the documents after a quick restart. Eventually, these changes should come to the main (stable) channel of Chrome, meaning that most users will be able to natively edit Office documents. 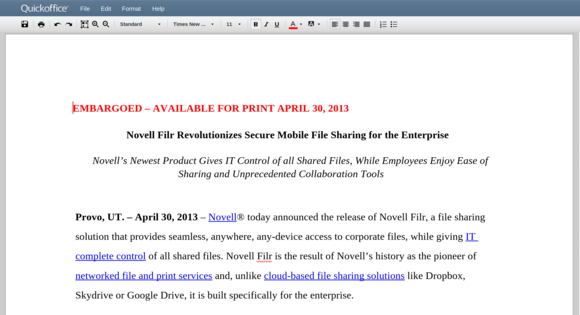 At that point, if Google increases QuickOffice’s capabilities, look out.